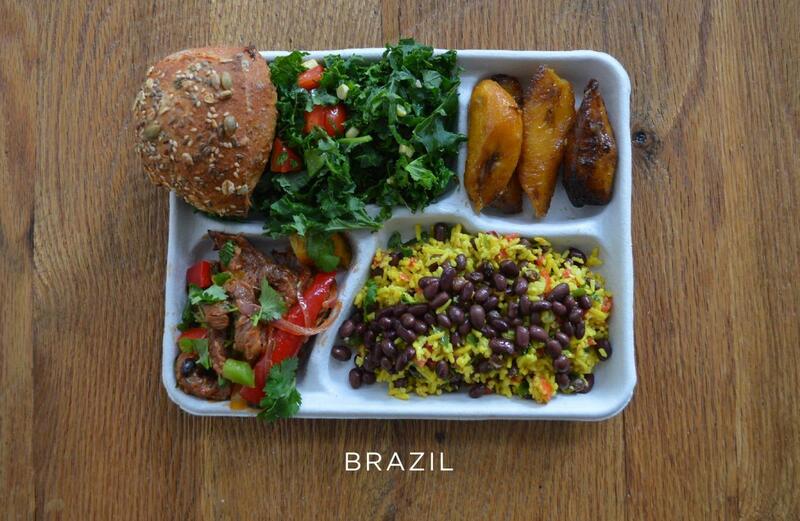 The public debate surrounding school lunches in the US recently triggered Sweetgreen – a salad chain that operates healthy eating programs in US schools – to compare school lunches from around the world. And since we do a lot of work with schools, and always try our hardest to supply nutritious and hearty meals, we thought we’d take a tour around the world to see what kids from across the globe are tucking into, and see how their lunches stack up against Victoria’s Department of Health guidelines. 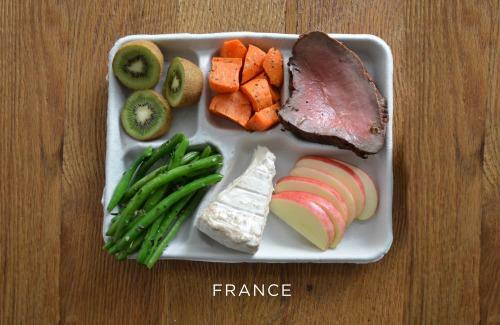 This well balanced lunchtime offering from the French is sure to have the kids salivating well before the midday bell. This delightful lunch meets almost all of the Vic Government’s Better Health guidelines, as it contains at least one serve of fruit, veg, dairy, and protein. The only thing missing from the French lunch is a good old fashioned serving of bread. But knowing the French, bread is a given, and more than likely readily available at all school canteens. 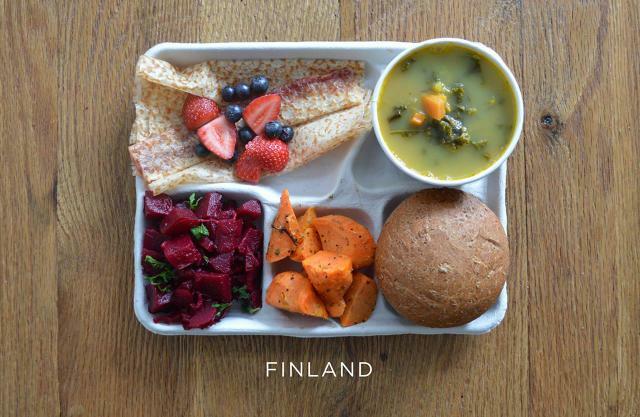 Bearing a strong resemblance to the hearty cuisine of its western neighbour, Sweden, Finland can hold its head high when it comes to its school lunch offerings. Who knows, maybe the fine food they’re serving up has played its parts in making the Finnish education system the envy of the world. Like the French, the Finnish school lunch is well balanced overall, however it is low on protein. Dolmades for lunch? Yes please! 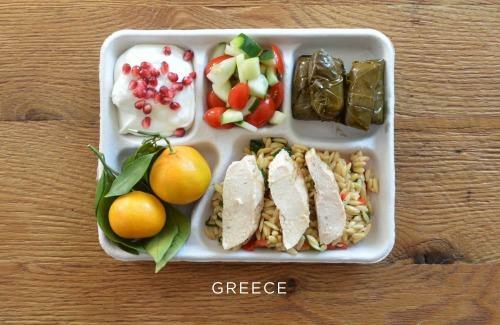 Fresh oranges, Greek yoghurt and orzo, they sure know how to serve up a cracking school lunch over in Greece. The absence of bread/grain trips up this delightful school lunch. But other than that it’s got all bases covered – protein, dairy, fruit and veg. For my mind this is perfect school lunch – the perfect balance of protein, fruit and veg. And knowing the Brazilians, that pork and mixed veggie combo is going to be packed full of rich flavours. This protein rich lunch is packed full of meat and beans, but also features a good healthy dose of fruit, veggies and grain. The only element missing is dairy – unsurprisingly, since Brazilians traditionally consume minimal dairy in their day-to-day diet. Who wouldn’t want gazpacho for lunch? This cold vegetable soup is the perfect accompaniment to those gorgeous sauteed shrimp and fresh peppers. A beautifully presented and well balanced lunch from the Spanish. Much like the Brazilian offering, the Spanish is lacking dairy, but otherwise features a balanced spread of protein, fruit, veggies, and grain. This brings us to Australia’s take on the school lunch. 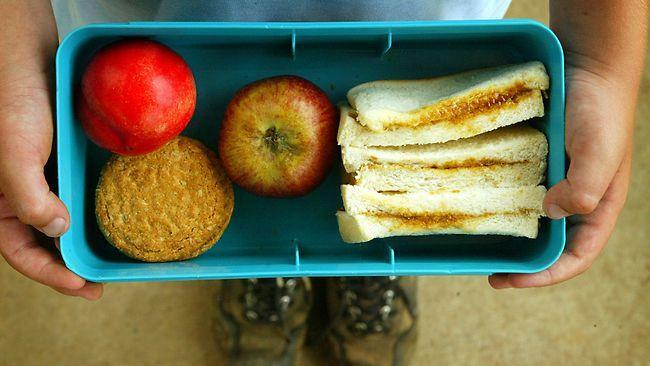 Not known for its culinary adventure, Aussie school lunches don’t look nearly as tasty as the ones above. The classic sandwich and fruit combination doesn’t seem quite as appealing as the rich and flavoursome food that the Fins or the Brazilians are serving up to their kiddies, but it ticks most of the health boxes. But while it has most of the major food groups covered, especially if you add a touch of dairy and maybe some carrot sticks, it all seems a tad boring compared to the goodness offered above. What do you think? Are you a Vegemite sandwich fan? 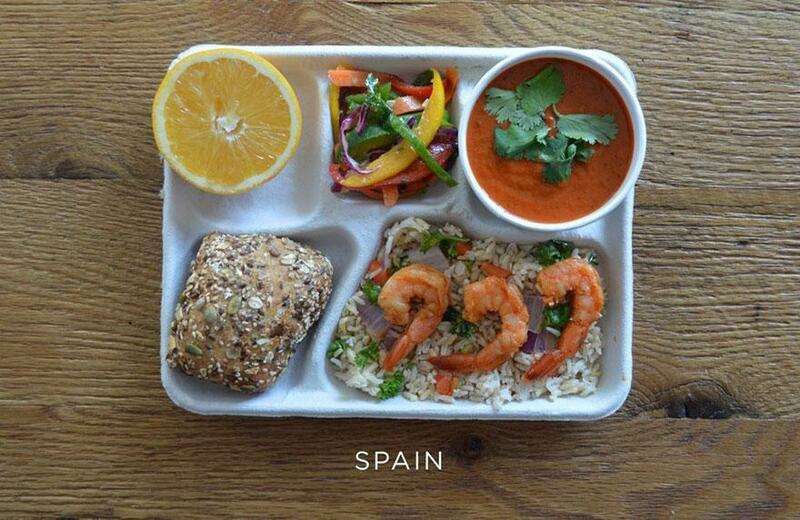 Or have these multicultural lunches tempted you to branch out?